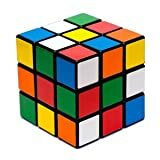 Just in time to satisfy the kids of all ages who received Rubik’s Cubes as holiday gifts, here is the book to ensure that the gift won’t go unused (or unsolved). There’s a hole in that cube! The Lanlan Void Cube (or Hollow Cube) is the cool looking 3×3 cube puzzle with a hole through it! How does it turn with a hollow center? Stick your finger through it! 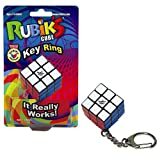 Amaze your friends with the holy cube, then solve it with no center pieces. 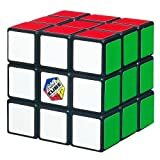 A must have for the ultimate puzzle cube collections. 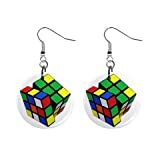 Size 5.7cm x 5.7cm x 5.7cm. ABS material and PVC stickers. 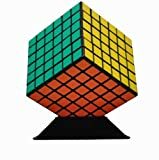 Challenge yourself with this Rubik’s Cube. This iconic puzzle game will give you endless hours of fun. 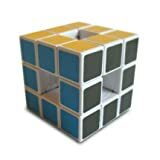 The ShengShou 2×2 Speed cube is a high quality cube with controllable speed. It’s spring screw design is great for speed cubing. Size: 5cm. 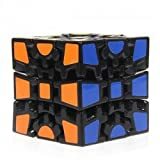 WorldRubik 3x3x3 Rubik’s Cube Gear – Puzzle Cube Speed Twist Toy – Great for Collection! Best Selling!!! testing your mental skill and patience. 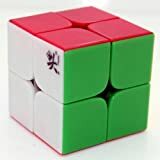 In 2013 Dayan released it’s first 2×2 speed cube leveraging it’s Zhanchi market leading design, immediately becoming one of the worlds best 2x2x2 designs for speed cubing. 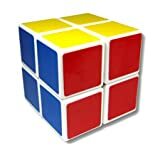 The Stickerless version uses 6 plastic colors, no stickers needed. Standard 50mm size.